Theories in gambling are as varied as a deli menu. That’s why we at Gambling360 create guides to the most profitable theories. In this guide, we’ll be exploring the NFL Sandwich Game theory. 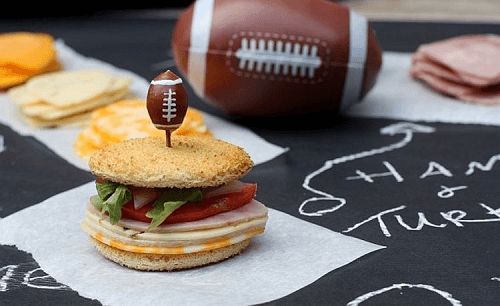 Sandwich games are generally games scheduled in between more important matches. For example, a higher-rated team against a less successful team before a high-stakes game in a three game line-up. This is considered a ‘sandwich’. In effect, teams either play above or below their level. Sometimes, these sandwich games provide a lot of excitement in a season. Near the end of the season, some teams are more rested and ready to play well. Meanwhile, their opponents have had a difficult time or played too often. Depending on the NFL team, this can make or break a sandwich bet. When betting with this theory, it’s a good idea to do some research. Specifically, on the trends for your team and how they’re doing. It’s also advisable to check the line-up and which players have been doing well. The team needs to have a three game schedule against a team that fall in the requirements. So, they should have games between two solid rivals and a lesser team. Trends, in this case, will reveal when you should bet. However, some sites will try to scam unwary bettors. So, be careful and trust your judgement. Betting blindly could lose even pro gamblers a lot of cash. Never trust a site that has odds that seem too good to be true. Since they are, usually, far too high to be feasible. According to the experts, the best time to use the sandwich game system is during week 17 of the NFL. At this point, the competition is narrowing, and lesser teams are more likely to lose. In previous seasons, the 17th week is a good bet with great odds. Anything earlier is too risky to guarantee the odds and the team play. While this is a risky betting system, it’s not the worst we’ve ever seen. Still, we advise caution and betting carefully. As always, only use 10% of your bankroll and don’t bet on untrustworthy sites.